Do you ever get stuck in a dinner rut? There are times I’ll open up the fridge or freezer and blankly stare at what’s in front me while waiting for inspiration to hit. It’s not like there is nothing to eat, but I’m waiting for that a-ha! moment. I want our meals together to be easy to make, fun and, most importantly, delicious! It’s been awhile since I made fries to serve with dinner. The whole family enjoys them, and I’m not really sure why it’s been so long that we had them. Maybe it’s because I associate them with eating at a restaurant where a side of fries is pretty standard with meals. 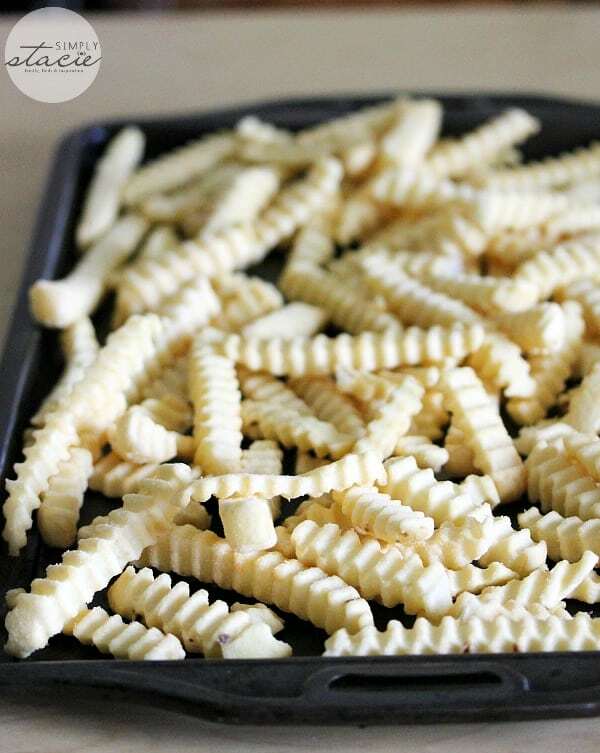 I picked up a bag of McCain® Superfries in Crinkle Cut on a recent shopping trip and this time when I opened up my fridge for ideas, I had a flash of inspiration! I saw the fresh chives sitting on the shelf in the fridge and wondered how it would taste paired with Parmesan cheese and garlic as a coating for the fries. I’ve used these same ingredients on baked potatoes so chances were good I was on to something. 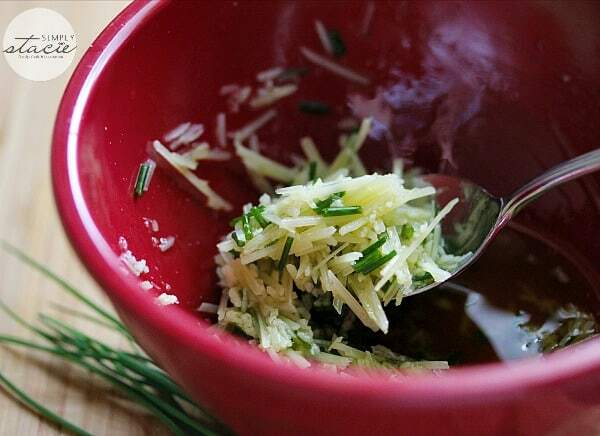 I added ¼ cup shredded Parmesan cheese, 2 – 3 tablespoons of chopped fresh chives and 2 cloves of minced fresh garlic to a bowl. I added a few tablespoons of olive oil to the mixture to make it easier to coat the fries. I then set the mixture aside while I cooked the fries. The next step is baking the fries according to the package directions. In the oven they go! At about the 15 minute mark, I removed the fries from the oven and carefully added them into a mixing bowl. This is the part where you add your cheese and chive mixture and toss to coat the fries. Once they are coated, add them back to your baking sheet and cook for an additional five minutes. You will not believe how good they smell! Seriously. Magic was happening in my oven. That, my friends, is how you MODIFRY™. It’s amazing how a few simple ingredients can change up a dish so much. These fries tasted better than the ones we eat in restaurants, or so my daughter has said. I have to agree with her. They were yummy! Happy family = happy mom. I’ve already been asked when I’m making them again. I guess that means no more dinner rut right? Mealtime is made better by the Superfries® everyone loves! Made from specially selected potatoes, canola oil and sea salt, Superfries® transforms any meal by adding an element of fun. 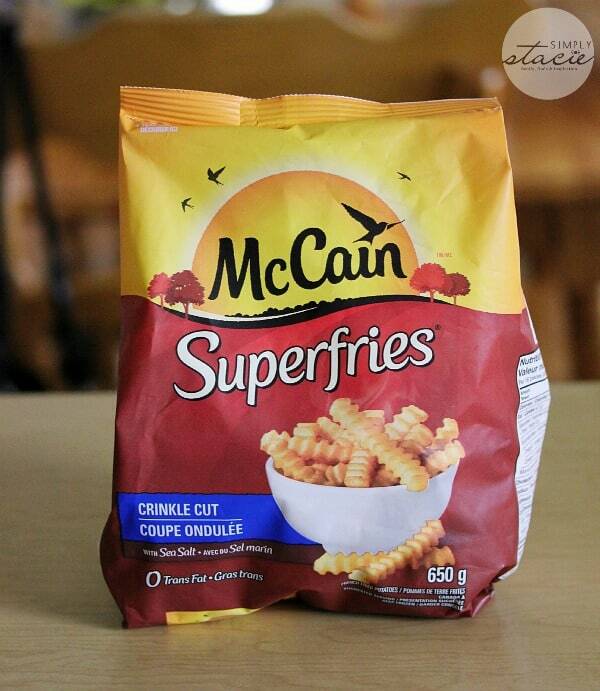 Enjoy McCain® Superfries® on their own or as a substitute to your favourite side dish. Spice things up tonight and try our Black Pepper and Lime MODIFRY™! Check out www.mccain.ca for recipe ideas! Disclosure: This post was brought to you by McCain Foods Canada via Mode Media Canada Inc. The opinions expressed herein are those of the author and are not indicative of the opinions or positions of McCain Foods Canada. That looks & sounds delicious. I’m going to try it! That looks really good! French fries are always a big hit in this house!! We only ever buy McCain!! I literally saw this in my local grocery store and it was on sale! I am tempted to go back to get this to try this method! Yum! Oh Yum! This looks like a really delicious way to have fries! I like it a lot and want to make it. 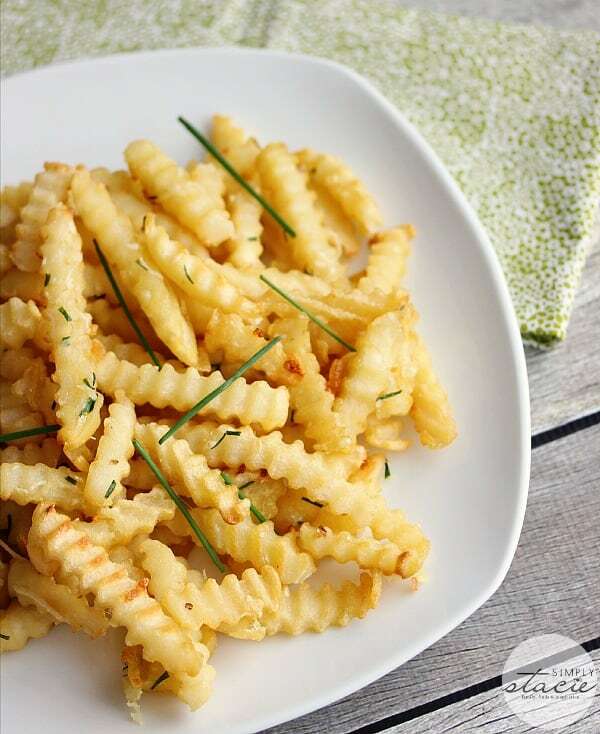 I’ve been in that “What’s for dinner” rut so many times…these fries looks delicious! I’ll be trying them out real soon…thanks for such a great idea! That was an awesome idea!! The fries look delicious and can’t wait to try them. What a wonderful creative way to bring up an ordinary side of fries. Thanks for the idea. I’m going to try this out, sounds very yummy, we don’t have fries to often only if I don’t feel like cooking and want something real fast and then they are just boring, I can see this jazzing them up a lot!!! Yum, these MODIFRIED fries look and sound delicious, I cannot wait to try this. Thank you for sharing this recipe. Looks yummy! I will definitely try the Superfries! These look delicious and more healthy than the current frozen fries we buy. Good idea. It’s nice when you can take a simple, useful product and easily update it and make it tastier and yours. This gives it an elegant look and fresh taste. I’m usually not a big fan of fries, but these look pretty good. Sounds very yummy! Never thought about doing anything like this to frozen fries but I am going to have to start experimenting! I am not a big frozen fry family. But by adding cheese plus other ingredients makes anything taste better. How clever and delicious, too! I get into mealtime ruts too. Thanks for sharing a simple tip that can change it up a little. Love the additions. I’m total;y going to try this the next time we make fries. It looks so amazing and tasty. Usually I like fries but only with ketchup. Here’s a recipe that I’m sure they’re great all on their own. Right now I’m thinking it’s too long since I’ve had fries! This seems easy enough to try it out. It’s always nice to change things up a bit, especially when this is so simple. 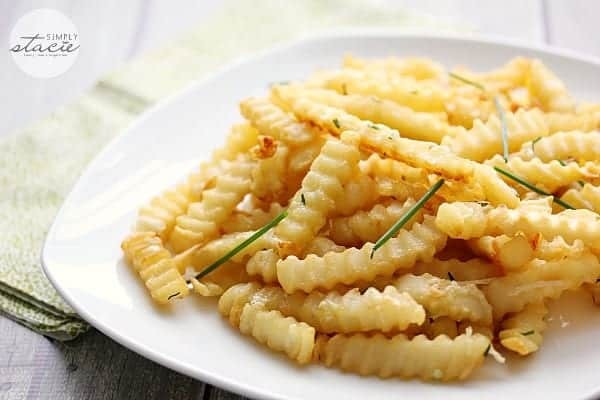 I love fries and this is such a great idea for a nice snack after I come home from school. It looks so simple and easy to prepare. I would love to try this. 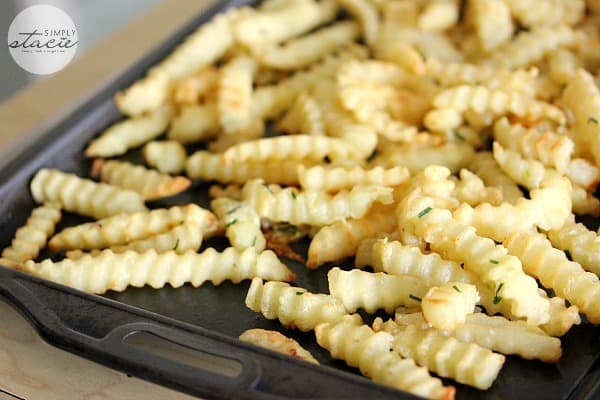 I make something like this but I like my fries fat :0 and my chives and garlic are put through a blender… yum!! sometimes I pat the fries with blended oatmeal ..
Great idea! 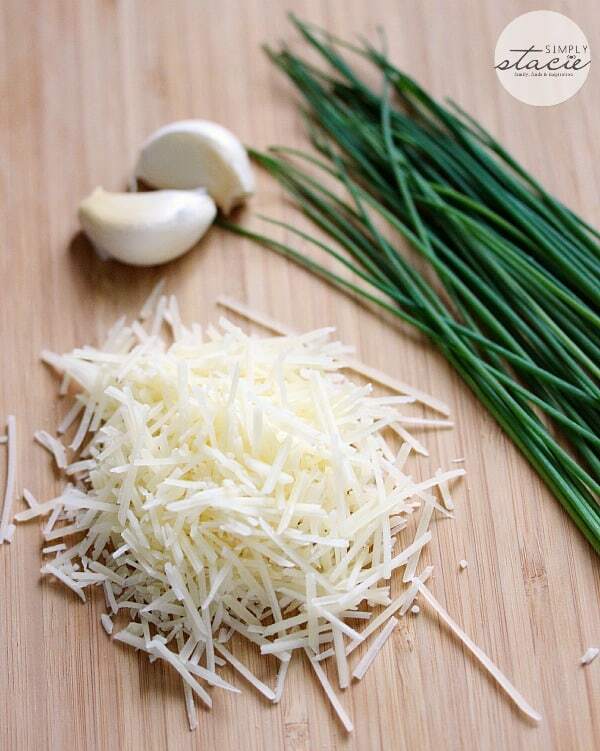 Parmesan cheese, especially shredded, would really punch up the flavour! this sounds like an excellent way to make fries. i want to try this!